Apple is rich in vitamins and minerals. It contains carbohydrates which boost energy. It's low fat makes it ideal for overweight kids. “An apple a day keeps the doctor away” This most popular old proverb still stands with the same impact. Studies reveal that having an apple daily keep many diseases at bay. So, whether your kid likes it or not, it is required to take this challenge and add this superfood to your child’s diet. An apple contains vitamin A, vitamin C, boron, phosphorus, iron, calcium and many more essential trace nutrients. One apple contains about 5 gram of protein and gives approx.50 calories. Apple is known to enhance the production of neurotransmitter named acetylcholine which is responsible for memory. Eating an apple daily will help your child to get a good memory which will help him to get success in his academic life. For adults, it may help in reducing the age associated memory disorders like Alzheimer’s disease. Apple fruit has numerous benefits. It is rich in flavonoids like quercetin which boosts the immune system of your child and keeps the diseases at bay. Children who consume an apple daily are less prone to infections like flu and the common cold. Besides, it may also strengthen your child’s immunity for newly born infectious diseases like swine flu. Apart from this, being rich in boron it can also promote bone health by allowing high absorption of calcium and phosphorus. Apple is one of the richest sources of vitamin A and most of this vitamin is found in the peels of this fruit. Vitamin A is essentially required to maintain proper vision. It is also required for appropriate development of teeth and bone. Eating apple daily also improves the health of your child’s skin, nail and hair. 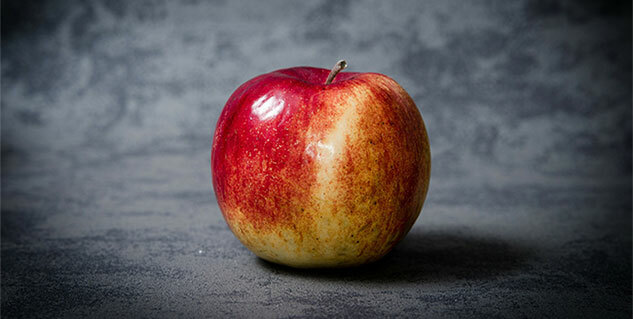 Being rich in carbohydrates and low in sugar, an apple is ideal for children's diet. It provides 40-60 calories per serving thereby providing optimum calories with adequate nutrition. If your child is overweight then this fruit will help in cutting down calorie intake as it keeps one fuller for longer, thereby keeping your child fit and healthy. Apple is also one of the rich sources of vitamin C. This anti-oxidant vitamin helps the body to fight against many immune diseases. Further, being a water soluble vitamin, it is not stored by the body and eliminated easily. 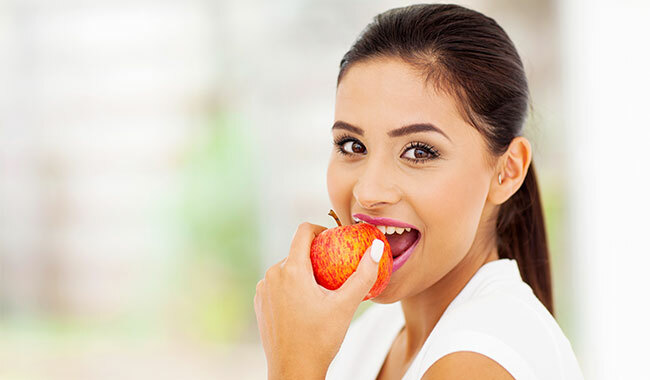 Therefore, while eating an apple daily serves the body with 14% of daily vitamin C requirement, this habit also helps in maintaining its level in the body. We think these benefits are enough to motivate all mothers to add an apple in their child’s diet. While this is a bit challenging initially, but it can be achieved in the form of apple salad, an oatmeal ingredient, apple juice with lemon, or fruit creams with apple. How Many Meals should One Eat Daily?